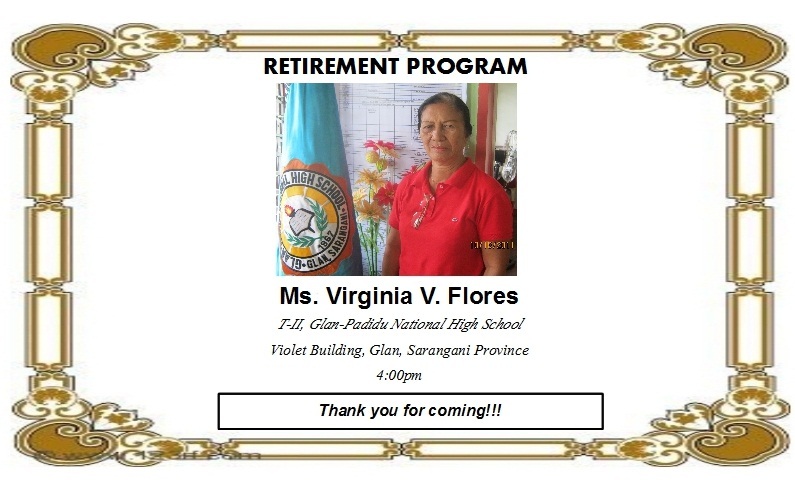 For almost 30 years in service to Glan-Padidu National High School, Mrs. Virgie Flores hosts her retirement party on October 28, 2011, 4:00 pm at Glan Municipal Gymnasium. Mrs. Flores retirement party is also her 65th birthday to be celebrated. Among the expected guest are the Sarangani DepEd Personnels, LGU’s, co-Teachers of GPNHS, friends and family. “I still be coming to the school even if my term of service as a teacher ended up.” Mrs. Flores said. GPNHS Teachers and Staff expressed their greetings through videos which are compiled by ICT Department. 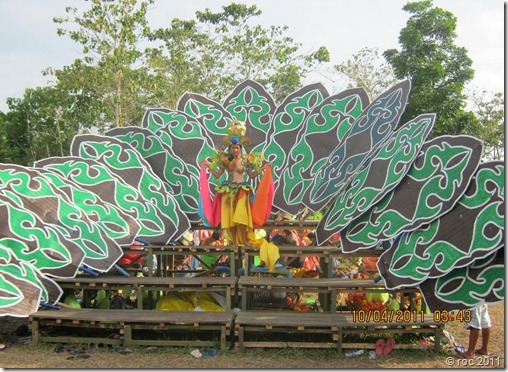 It followed with teachers’ dance numbers in the Department of English, Science, Math, & Makabayan. 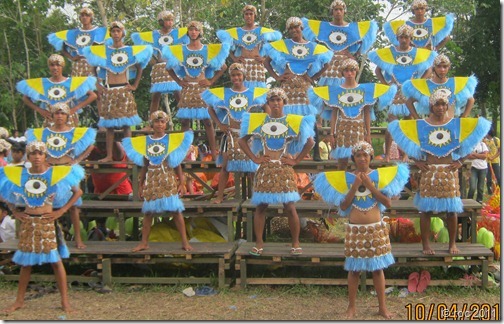 The Tribu Padiduanon,which is the Glan-Padidu National High School contingent, received P60,000.00 and maintained its 3rd place rank for several years to the 12th Glan Lubi-lubi Fest on October 8, 2011 at Glan Central Elementary School Oval Ground. GPNHS Dancers exerted much effort to compete among the five (5) aspiring schools namely Glan School of Arts and Trades (1st Place P100,000.00), Notre Dame of Glan (Second Place P80,000.00), and consolation prizes of P20,000.00 to every delegates of Sultan-Kudarat State University- Glan Extension, San Vicente National High School and Leonard Young National High School. “I am impressed with this year’s performance of every schools. 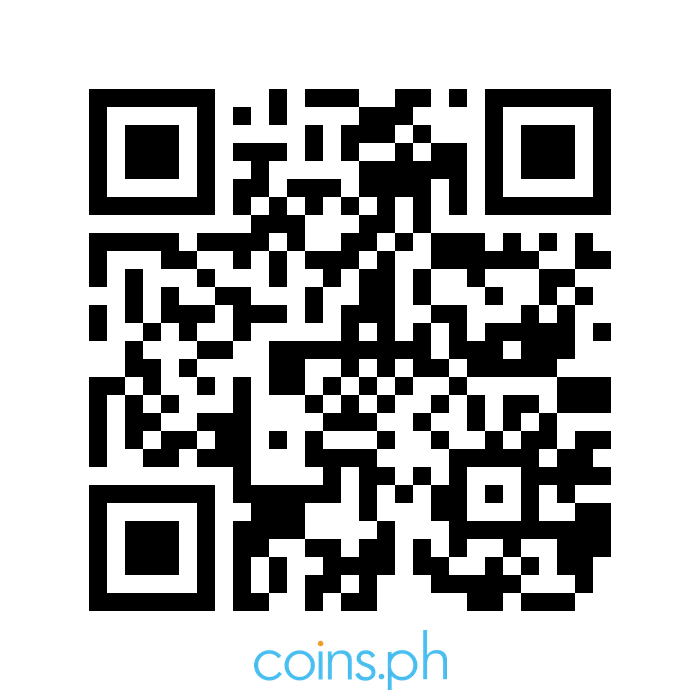 For the next year Lubi-lubi festival, I am increasing the first prize to P200,000.00″. said Victor James C. Yap, Sr., Glan Municipal Mayor. The thanks giving party of Tribu Padiduanon is set on October 21, 2011, 1:00 pm after the 2nd Grading Examinations of students.